VANCOUVER, BC – September 26, 2011 – Ostara Nutrient Recovery Technologies Inc., a leader in phosphorus management solutions, announced today that The City of Saskatoon has approved the construction of a facility at its H.M. Weir Wastewater Treatment Plant (WWTP) that will recover phosphorus and nitrogen from treated wastewater streams and transform them into a highly pure, slow-release fertilizer called Crystal Green®. Ostara’s technology provides the City with a cost-effective and environmental solution to removing polluting nutrients from the WWTP’s liquid wastewater stream. In addition to removing nutrients from the facility, the City selected Ostara’s Pearl® Nutrient Recovery Technology to help overcome current operational issues caused by the unintentional build-up of struvite. Struvite is a concrete-like mineral deposit which chokes process equipment, increases operation and maintenance costs and threatens plant reliability. The unintentional formation of struvite is a common challenge in plants such as the Saskatoon WWTP, which practice biological nutrient removal and anaerobic digestion. Previously, the City has been forced to use chemical dosing to address struvite problems, which is cost-prohibitive. 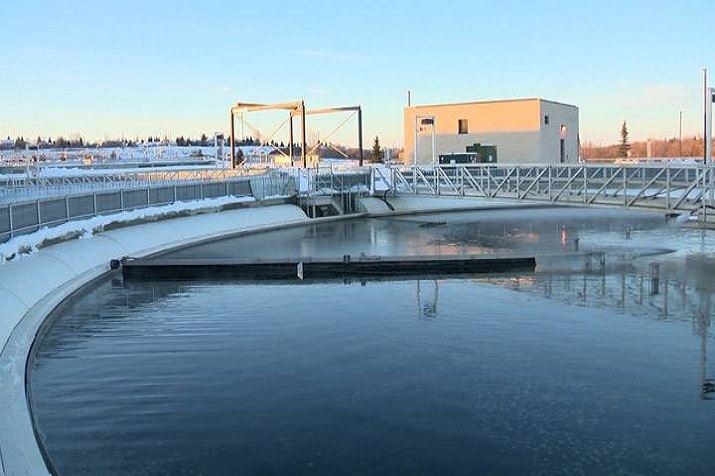 “Ostara’s nutrient recovery technology provides a cost effective and environmentally friendly alternative that will immediately solve Saskatoon’s wastewater treatment plant’s struvite challenges,” said Phillip Abrary, President and CEO (2005-2017) of Ostara. In July 2010, The City of Saskatoon WWTP commissioned Stantec to prepare an independent struvite mitigation study in coordination with City staff. “The Ostara technology was selected through a cost-benefit analysis and we recommended Ostara’s Pearl technology as the most beneficial solution to Saskatoon’s struvite problem, both in terms of cost-effectiveness and plant reliability,” said Ryan Roberts, of Stantec Consulting Ltd.
Saskatoon’s new nutrient recovery facility will be the first Canadian site to feature Ostara’s newly-designed Pearl 2000, which has the capacity to produce 730 metric tonnes of Crystal Green fertilizer every year. It will also be Ostara’s first commercial implementation of the WASSTRIP® process, which is an ideal complement to the company’s Pearl nutrient recovery technology in plants that are using biological phosphorus removal. The WASSTRIP process was developed in partnership with Clean Water Services, to enhance the efficacy of the Pearl process and control struvite scale formations throughout the sludge treatment stream. “Ostara’s nutrient recovery technology will integrate directly into Saskatoon’s treatment system, process the sludge processing liquids, and recover a premium-quality, environmentally friendly fertilizer that will generate revenue for the City,” said Abrary. Ostara will begin construction of the facility immediately and it is expected to be operational in early spring 2012. Ostara Nutrient Recovery Technologies, Inc., based in Vancouver, BC, designs, builds and sells a new generation of water treatment systems – a nutrient recovery solution that creates value from waste by removing nutrients from wastewater and transforming them into a revenue-generating, environmentally friendly commercial fertilizer, called Crystal Green®. Ostara’s nutrient recovery technology was invented at the University of British Columbia and commercialized in 2005, when the company was founded. Ostara has three commercial nutrient recovery facilities in the US – at Clean Water Services’ Advanced WWTP in Portland, OR; Hampton Roads Sanitation District’s WWTP in Suffolk, VA; and, at the City of York’s WWTP in York, PA. Ostara will build nutrient recovery facilities at Clean Water Services’ Rock Creek WWTP and at the City of Saskatoon’s WWTP in spring 2012. Ostara is backed by VantagePoint Capital Partners in the U.S. and Frog Capital in the UK. In September 2010, Ostara was named a 2011 Technology Pioneer by the World Economic Forum. In 2009 and 2010, Ostara was named one of the Top 100 Global CleanTech Companies by The Guardian, a London-based media group, and was named a GoingGreen Global 200 Winner in September 2011. For more information: visit www.ostara.com and www.crystalgreen.com.